The last remaining Pac-12 squads in the NCAA tournament face steep challenges. For the Ducks, they’ve drawn the Dance’s number one overall seed and the toughest press this side of Gutenberg. In the West bracket, the Wildcats will face the Ohio State Buckeyes and their athletic set of wings and a scrappy point guard. So how can these two squeak by? How can Oregon get to their first Elite Eight since 2007 (subsequently this is their first Sweet 16 since then, too)? What’s it going to take for Arizona to advance? Oregon – Dominic Artis and Johnathan Loyd are the team’s primary ball handlers. They man the ship for the nation’s 83rd most turnover prone team (21.5% TO%). That’s not good and as we mentioned, Louisville has a press which not coincidentally is at the root of the word “pressure.” They put heaps and loads of it on guards. And teams. The Cardinals are second in the country in defensive TO% (28%). You realize this means their opponent yields nearly 1/3 of their possessions to the Cardinals? That’s like having your team manager stand outside a restaurant bathroom and watch guard while you… well wait… it’s nothing like that. But the point is, Artis and Loyd are preparing for the toughest test of their season. This undersized tandem will have their hands and faces full of pressure. Dealing with it and taking care of the rock will go a long way in advancing the Ducks. The truth is, Arizona will win this year’s NCAA title if senior guard Mark Lyons plays the way he played last weekend in Salt Lake City. By that hyperbolic (though I love it) account, I think it’s fair to call Lyons an X-factor. And just to recount, “last weekend in Salt Lake City” means 50points, 63% shooting, and just 4 turnovers. Oregon – Maybe this one is obvious in that I’m about to make a total pun but subtly very important to the Ducks’ success will be their wings (see what we did there? so much giggling right now). And by wings I’m looking at Daymean Dotson and Carlos Emory. In his first big dance, Dotson has scored 40 points on 54% shooting and is 8-15 from deep. For a team that struggles to shoot the three, the emergence of a greater-than-50% shooter is nice, to put it subtly. And in his swan song, the senior Emory has gone ahead and become great energy off the bench and spent his upset minded first weekend dropping a combined 26 points and grabbing 13 boards. The Duck Wings (decidedly I’m hoping this catches on) combined for 66 points. Stay hot my friends. 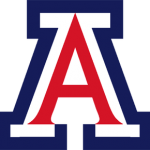 Arizona – While we may have overwhelming memories of the cardinal and navy putting up gaudy offensive numbers, the core of the current team and current philosophy is tough defense. That tenant was lost for some portion of the season and then it reemerged in contagious fashion as Nick Johnson has reestablished himself as the defensive stopper Sean Miller lauded him to be. 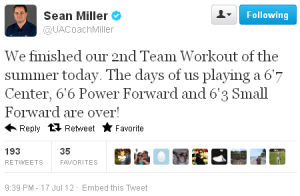 Thad Matta and others are taking note, too. It is yet to be determined what assignment Johnson will draw but the tone is set: Defense will win games for these Wildcats (unless you ask Dufresne, above). The Buckeyes pose no mega, collective threat offensively as the core of their success lies on the defensive end, too. Can Johnson be the more disruptive force? Oregon – These Ducks are pretty damn big. With a starting front court of Woods and Kazemi they’ve managed to be one of the better rebounding teams in the nation. 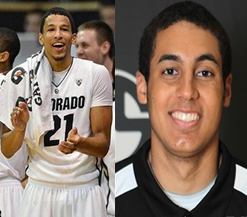 And after those two they trot out the likes of Waverly Austin (6’11”) and Ben Carter (6’8″). It’s been this rebounding edge that I believe has allowed the Ducks to overcome their proclivity for turnovers. DYK the Ducks are one of the top offensive rebounding teams in the nation (36% OR%)? DYK the Cardinals are one of the not so good defensive rebounding teams in the nation (yield a 33% OR%)? Now, I should note that the Cardinals manage to rebound the hell out of the offensive end (38.5%), a byproduct of their full court pressure. But this advantage could be negated by Oregon’s size and rebounding. The rebounding battle (looking at you Iranian Mound of Rebound) should prove central. 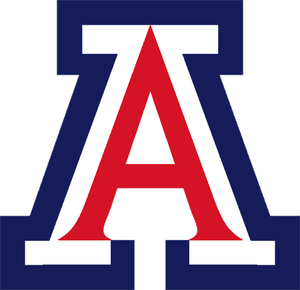 Arizona – The crop of freshmen have been lauded since forever. 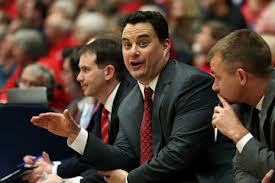 As the names said “yes” to Sean Miller last summer the fable grew. And then the season began and they were….freshmen. They’re the only top-10 recruits still playing which is a moderately fun fact but what they provide is something Ohio State just may not be able to handle: size. These kids are huge which the Buckeyes are not. Now size itself is not the answer (too many jokes to be made here) but just as Dotson/Emory have caught fire in the Dance, so too have these pups. Excluding Jerrett from Saturday’s win over Harvard in which he played just one minute after injuring his now completely healthy elbow, this triumvirate (and one game tandem) has put up a combined for 35 points, 36 boards; or 7/7.2 in just 21.4 minutes. They’ve been the difference makers on the glass and in the lane and will need to continue to do so against the undersized and less-than-stellar rebounding Bucks. Well we certainly never thought Nick Johnson was an elite ball handler and so when he entered a brace of Ducks (yes, that’s officially what you call a group of ducks) with a chance to win or tie a game late for the fourth time this season, he couldn’t. And that’s OK. It’s by no means the crowning moment of defeat. The Wildcats did little beyond show up to try to win that game. While saying such has a tinge of sour grapes, it’s hard to say the fourth ranked team in the country did their thing and got beat at it when good chunks of the game were spent gazing at a 2-3 zone. But credit where it’s due. The Ducks were the one’s playing that zone and playing it actively; allowing it to be anchored by the Woods and Austin, the two of whom possess length to rival Interstate-10. Impressive to say the least. And for all my senior bravado speak let’s discuss EJ Singler. Conference play has begun and the senior is going for 15/8/4 across two games. For sweet cliche’s sake, he’s stepped up, risen to the challenge, and he’s come to play. I respect that. But perhaps the most interesting part about that game was that Oregon showed no fear of the Wildcats. Arizona came out with a haymaker, an 11-0 run with equal parts defensive and laser efficient shooting and all appeared well for the Red Team. A Dana Altman timeout sought to cool the run only to have Waverly Austin turn the ball over leading to a Lyons layup. And then the Ducks rattled off 41-19 punishment which won them the game. Quarter by quarter, if you will, the game scores were 22-20, 8-21, 20-19, and 16-10. Arizona beat the Ducks in each of those except in that critical second quarter during which Oregon was flat out the better team. I made a note that Arizona allows just 23% of the field goals they yield to be at the rim. While I don’t have the exact stats regarding shots at the rim for the Ducks Thursday night, I do know that their three contributing bigs (Waverly, Woods, Kazemi) combined for 22 points and 14 rebounds. Arizona’s three biggens? 7/11. Generally not a recipe for victory. Last week Miller made no bones about the fact that Ashley, Tarczewski, and Jerrett need to improve. For Arizona to compete for the things they want to compete for, they must. And there was a moment last night that I thought sort of captured the way of these freshmen. Mark Lyons made a good move to get into the belly of the zone and was driving across the lane. He’d previously been blocked seemingly countless times and had come to learn his lesson. He drew and handful of defenders and the zone bust appeared to be coming into full effect. There was the for Jerrett to have the ball delivered to him on a platter for a two handed flush or at least to draw a foul or do something really tight that no body even knows of. Whatever he was to do, he was not supposed to drift to the three point line. The ball wound up amongst the beautiful Oregon cheerleaders and not in Grant’s hands. On the television we could see Lyons’ frustration as he explained to the 6’11” jump shooter that he needs to be a 6’11” force. Because he can. And will. This is a part of the learning curve. 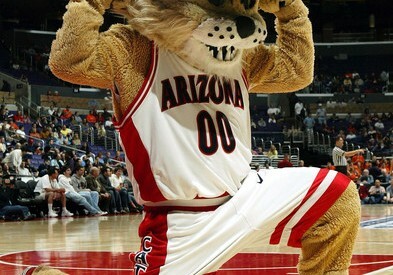 It’s no secret Arizona’s recipe involves savvy vets playing well and some talented pups to just play. When the latter half of that equation makes its leap – not even a leap to great but to anything-better-than-7-points-and-11-boards – this will be a frightening team. Hell, they’re 14-1 with question marks abound. And while that first loss tastes bitter, the best palate cleanse is to learn.